When your HP Pavilion DV9 laptop stops working properly, doesn’t boot, has a black or blue screen, shows some signs of overheating or is damaged with a broken LCD screen, you need a fast and professional company to help you fix it. Innovative IT has been specialised in Hewlett Packard laptop repairs for many years and can offer a fast and reliable computer help for your HP DV9. From our centrally located repair centre in London, our technicians have all the necessary skills and equipment to perform a wide range of repairs, upgrades and component and part replacements for your laptop. What are the most common HP DV9 failures? Innovative IT offers nationwide laptop repair services for all customers, home users and companies, in London and all over the UK. Our laptop repair centre has a walk-in service available six days a week, Monday to Saturday from 0900 until 1800. If you’re unable to bring your HP DV9 to our laptop repair centre in person, we can arrange a DHL collection. Once the laptop has been fixed, it will be returned to you securely. If your DV9 doesn’t turn on any longer or just died all of a sudden and no lights are coming on at all, there could be a short on the main board that needs to be investigated. If your laptop is out of warranty and if you have tried, without success, to contact HP to see if they could help or check whether your DV9 was one of those that was on their recall list, try Innovative IT. We have one of the highest success rates of motherboard repairs in the UK thanks to the unrivalled electronics knowledge of our experienced technicians. If the motherboard cannot be fixed, because of liquid damage for example, Innovative IT can supply and fit a suitable system board replacement with a one year warranty. HP DV9, like many other laptops, is prone to power issues. Sometimes your laptop adapter has to be wiggled for the laptop to accept the charge in which case you may have to replace the charger itself. If too much pressure and stress has been put on the DC jack when fiddling with the charger plug, you could have damaged the connector port and caused an internal power issue on your laptop. If your DV9 powers up but the charging icon blinks and then stops, your laptop DC jack could be broken internally and may need to be re-soldered on the motherboard. Thanks to its team of highly skilled electronics technicians, Innovative IT is one of the most experienced companies when it comes to USB power board replacement in the UK. If you’re experiencing video problems with your DV9, including a blank and black screen, strange shapes, characters and colours on the display or intermittent issues when the laptop comes on normally but shuts down after being on for a while, the fault could be related to a video chip failure. This is a very common issue with HP Pavilion laptops due to the poor design of the cooling system allowing the graphics chip to overheat and separate from the motherboard. One of the most common symptoms of this graphics fault is that the laptop turns on properly with all the LED lights on but with nothing or a garbled image on the internal screen of the laptop - and nothing still if the laptop is plugged onto an external monitor. Sometimes, the laptop beeps when turned on. Innovative IT carries out BGA rework and reflows with a three month guarantee on a same day basis. Our repair centre in equipped with a state of the art BGA rework infra-red station with a camera allowing our technicians to offer fast and professional graphic chip repairs. The graphic card repairs we offer also include a complete service to the laptop and its fan system to minimise overheating issues to the graphics chip of the laptop in the future. If the graphics chip cannot be repaired, the other option we can offer is a motherboard replacement. Innovative IT’s technicians are able to diagnose and fix all the faults with the LCD screen of a HP DV9. If your screen has been accidentally damaged, scratched or cracked or suddenly stopped working due a hardware malfunction such as a faulty screen backlight, our team is able to offer a same day and while you wait HP DV9 screen replacements thanks to its extensive stock of 17 inch laptop LCD screens ready to be fitted in - including WXGA+ and WSXGA + screens for DV9 and those with a dual backlight and dual inverter board. The replacement will consist of an identical LCD panel matching the backlight type and the resolution of the existing LCD of your DV9. We can also replace inverters and inverter boards, broken or burn out LCD screen cables, screen bezels and fix loose connections on DV9 laptops. If you need to replace the keyboard or touchpad of your Hewlett Packard DV9000, Innovative IT can source a suitable replacement for you. We can carry out repairs and replacements for laptops that have suffered liquid damage and unresponsive/ broken keys. All the keyboards we stock for replacement are genuine and brand new HP parts. We also offer a service for broken or missing keys on the keyboard of a DV9. If you’re no longer able to access your files, if some physical damages have affected your hard drive, if you hard drive has crashed or if you have deleted your documents, photos, music or movies by mistake, our hard drive replacement and recovery services are just right for you. We offer hard drive replacements, back recovery and upgrades for all high capacity hard drives used on Pavilion DV9 including 500gb, 360gb, 200gb, 160gb, 120gb and 80gb hard drives, whatever the brand such as Western Digital, Toshiba, Seagate, Hitachi or Samsung. 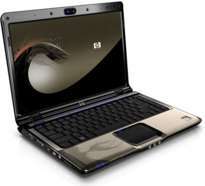 We also specialise in HP pavilion DV9 data recovery. Your hard drive will be in good hands in our London based data recovery centre equipped with an anti- static clean room, the latest and most powerful data recovery software and the expertise of our recovery technicians. How to get your HP Pavilion DV9 repaired with Innovative IT? Innovative IT’s laptop troubleshooting, servicing and maintenance services are available for the entire range of HP Pavilion DV9000 laptops including HP DV9100, DV9200, DV9300, DV9400, DV9500, DV9600, DV9700, DV9800 and DV9900 series.